Donations to GO! 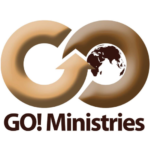 Ministries General Fund helps keep costs low for GO! missionaries and avoids the necessity of raising their administration fee. This includes ministry development, office supplies, funding for mission trips, and more. Your donation to this fund is needed and much appreciated! God bless you richly.